People struggling with student debts were excited to hear the big news that Pres. Obama had signed an executive order that could make it easier for millions of Americans to pay off their student loans. Unfortunately, the big news turned out to be not that big. If you aren’t aware of this, and many people aren’t, there are seven different ways or programs for repaying federal student loans. Four of these are income-based as they take into consideration your income as well as your family size. Pres. Obama’s executive order affected only one of the four – the Pay As You Earn option. If you are on this plan or would be eligible for it, this could help by capping your monthly payments at 10% of your disposable income (more on disposable income later). One thing that the President’s executive order didn’t change in Pay As You Earn is the number of years before loan forgiveness. You will still be required to make all your loan payments and on time for 20 years. Do this and if you still have a remaining balance it will be forgiven – or erased. One of the most significant changes made by the President’s executive order is expanding the number of people who can take advantage of Pay As You Earn. Prior to this order, only newer borrowers were eligible. However, beginning next year, anyone who took out loans before October of 2007 or who stopped borrowing on their loans by October 2011 will now be eligible. It is estimated that this will affect about five million people. To be eligible for Pay As You Earn, you must prove a partial financial hardship. You would have a partial financial hardship if the annual amount due on all of your eligible loans as calculated under 10-Year Standard Repayment exceeds 15% of your discretionary or disposable income. As you read earlier, the President’s executive order caps monthly payments under Pay As You Earn at 10% of the borrower’s disposable or discretionary income. 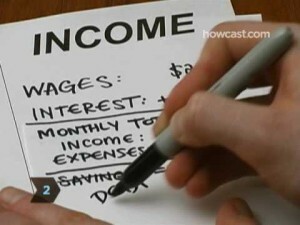 You need to know your discretionary income in order to determine whether or not you would qualify for Pay As You Earn. So how do you determine your disposable income? First, you need to calculate your monthly Adjusted Gross Income and then subtract 150% of the Federal poverty line, which this year is $1450. Here’s an example of this. If your Adjusted Gross Monthly Income were $4280 and you subtracted that $1450, your disposable or discretionary income would be $2800. Multiply this by 10 percent and your Pay As You Earn monthly payment would be $280, which could be substantially less then what you’re now paying. If you have other types of loans such as subsidized federal Stafford loans or FFEL consolidated loans, you would not qualify for Pay As You Earn. However, you could get a federal Direct Consolidation loan, use the proceeds to pay off those other types of loans and would then have a loan that would be eligible for Pay As You Earn. The one downside of Pay As You Earn – as with all of the income-driven repayment plans – is that you must prove your income every year. In other words, you will need to submit documentation to your loan servicer every year proving your family size and income in order to stay eligible. If you ever reach the point where your family size and income exceeds the amount you would pay under 10-Year Standard Repayment, your monthly payment will be adjusted to that of 10-Year Standard Repayment. This new payment will be based on the loan amount you owed when you first started Pay As You Earn – meaning that it could result in a substantial increase in your monthly payment. If for some reason you would not qualify for Pay As You Earn, there are three other income-driven repayment plans. They are Income-Contingent, Income-Based and Income-Sensitive. Income-Based Repayment – This plan was meant to replace the Income-Contingent and Income-Sensitive Repayment plans though they are still available. It is much like Pay As You Earn and also caps your monthly payments at 10% of your disposable or discretionary income. It is also based on the size of your family and requires that you submit documentation every year proving your income. Loans that are eligible for income-Based Repayment include all Consolidation Loans made under the Direct Loan or Federal Family Education Loan programs, all Stafford Loans and all Grad PLUS Loans. In 2010, the president took an executive action that made this program available to more borrowers by the end of 2012 instead of 2014. This latest change should reduce the monthly loan payments for an additional 1.6 million responsible student borrowers. If you want to determine whether you would qualify for Income-Based Repayment (IBR), you should use the U.S. Department of Education’s IBR calculator to learn if you would likely qualify. This calculator takes into consideration your family size, income and state where you live to calculate your monthly payments. If this amount were less than the payments you are making on your loans under 10-year Standard Repayment, you would be qualified to pay back your loans under IBR. If you were not a new borrower on or after July 1, 2014, your payments will be capped at 15% of your discretionary income but will never be higher than under 10-Year Standard Repayment. On the other hand, if you were a new borrower on or after July 1, 2014 your payments will be capped at 10% of your discretionary income. Income-Contingent Repayment – Under this program you would make payments for 25 years before any remaining balance would be forgiven. You won’t need to prove a “partial financial hardship,” and your payments would be 20% of your discretionary income. Under this program, your monthly payments will be pegged to your income, the size of your family and the total amount you borrowed. Since your term will be 25 years, you will likely have lower monthly payments though you will pay more total interest over the life of the loan. Also, under this repayment program if you have a balance forgiven at the end of the 25 years, you will have to pay taxes on it. Income-Sensitive Repayment – With this program, your monthly loan payment would be pegged to a fixed percentage of your gross monthly income. This would be between 4% and 25%. You would determine the percentage yourself. However, your monthly payment must be greater than or equal to the interest that accrues on the loan. Although you choose the percentage, be aware that some loan servicers set a minimum threshold on the percentage of your income based on your debt-to-income ratio. This program is like Pay As You Earn and Income-Contingent in that you must reapply every year. This usually means submitting your W-2 statements and tax returns. With Income-Sensitive Repayment your term or length of the loan is limited to 10 years. This means it will increase the size of your monthly payments to compensate for this. If Income-Sensitive Repayment interests you, be sure to go to the U.S. Department of Education’s IBR calculator to see if you would be eligible. Most people will choose Income-Based Repayment over the other two alternatives explained above – assuming they are eligible. It’s just a better deal for most people. However, if you don’t qualify for any type of income-driven repayment, you still have two other options. The first is Extended Repayment. What this does is extend the term on a 10-Year Standard Loan from 10 years to 25. This almost always results in a lower monthly payment though you will pay more interest over the term of the loan since it’s 15 years longer. A second alternative that is not income driven is Graduated Repayment. If you were to choose this program, your payments will be lower at first but then gradually increase every two years. Like with Extended Repayment, you will end up paying more interest over the life of the loan then under 10-Year Standard Repayment. As you have read there are a number of different repayment programs available to those who have federal loans. If you are currently under 10-Year Standard Repayment, it would certainly be worth your time to use the U.S. Department of Education’s IBR calculator to learn what other repayment programs you might be able to take advantage of. You should also probably talk with your loan servicer. In any event, make sure you check out your options so that you will have a repayment plan that you can live with and that offers the best deal given your income and circumstances.